We are surprised that steaming can yield such moist and fluffy cakes! After enjoying these, I'm thinking of changing my blog name to Steam for Happy Kids! - LOL! 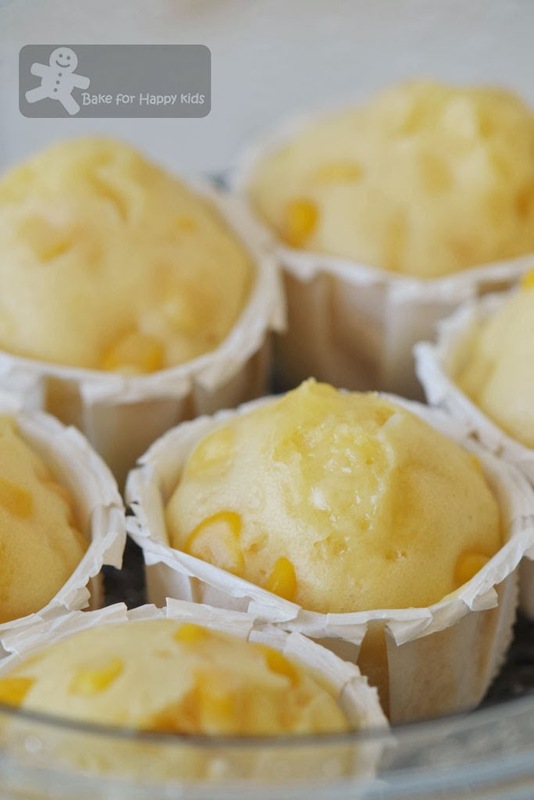 This basic mushi-pan 蒸しパン (Japanese steamed cake) originates from Nami (Just One Cookbook). I have made our mushi-pan like what Nami did with 1) corn and cheese and 2) cocoa and chocolate. Both are very moist, fluffy and yummy! 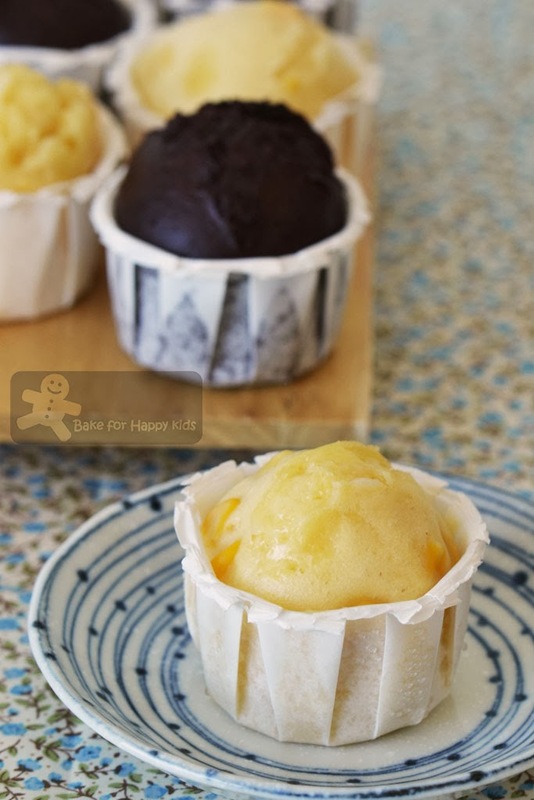 These steamed cakes are extremely easy to make and doesn't require any fanciful and cooking tool to steam and even my 5-year old boy can make these. Interestingly, Nami steamed hers using a frying pan but I have made mine using an electric steamer and steam them directly using heat-resistant cupcake cups instead of ramekins. For extra fluffiness, I have used cake flour and double-action baking powder and this combination worked beautifully for me. Thanks Nami! This recipe is simply fantastic! I'm using double acting baking powder for extra fluffiness! Look what we got here... Pretty mushi-pan! ... and extra chocolate-y ones! I'm totally convinced that these cakes are good! 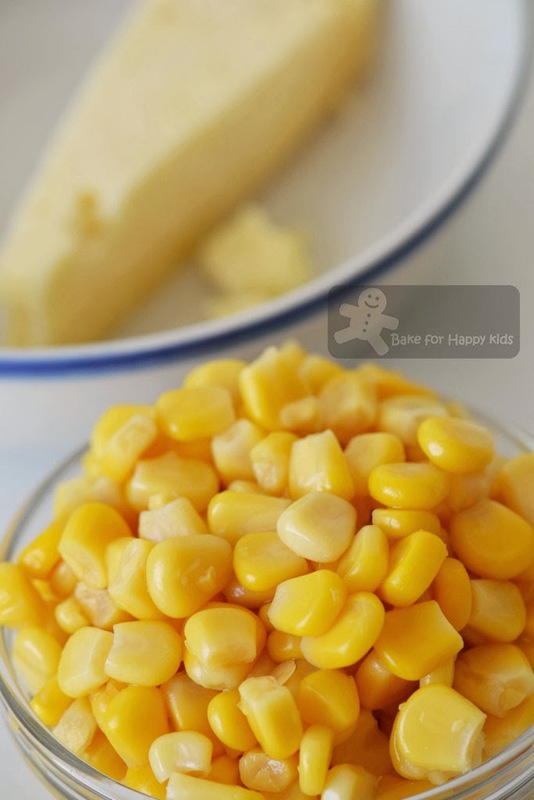 Note: The original recipe adds only 1/4 cup corn and 1/4 cup cheese but we prefer our mushi-pan fully loaded with corn and cheese for extra flavours. Steaming can make Parmesan cheese slightly chewy and we are loving these cakes exactly the way we made these. If you are not a fan of chewy cheese, you may use cheese in finer texture to avoid any chewiness. First, set water to boil in a steamer. If you are using a frying pan to steam these cakes like Nami, you will need to steam your cakes in ramekins lined with cupcake liners. To prepare, pour water into a large frying pan to half the level of the ramekins that you are using. Cover the frying pan lid with kitchen towel. This will prevent the condensation from falling onto the steamed cakes. Cover the pan with the lid and bring water to boil. If you are using an electric steamer like me, all you have to do is to pour water in the steamer and switch on the power. Easy! LOL! Put a cupcake liner in ramekins. 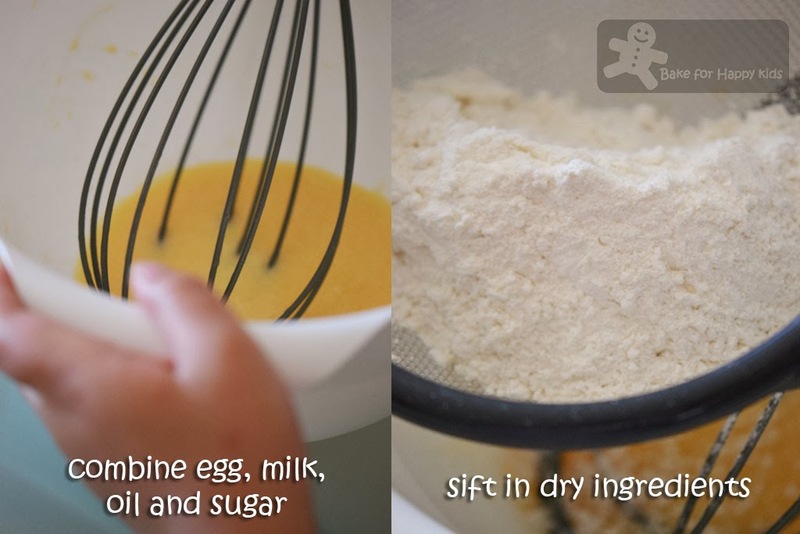 In a bowl, whisk egg, milk, sugar, and oil until combined. Sift in flour and baking powder (and cocoa powder for Chocolate mushi-pan). Mix batter until smooth. 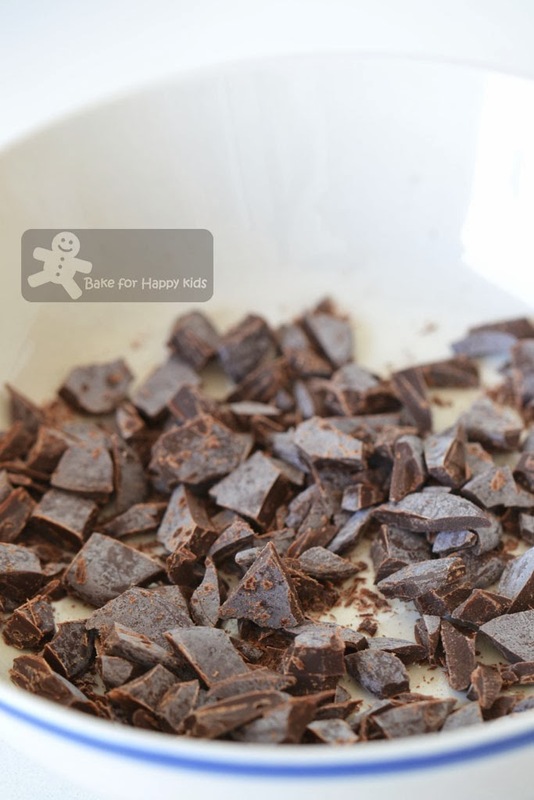 Add additional ingredients (corn and cheese, or chocolate) and mix until combined. 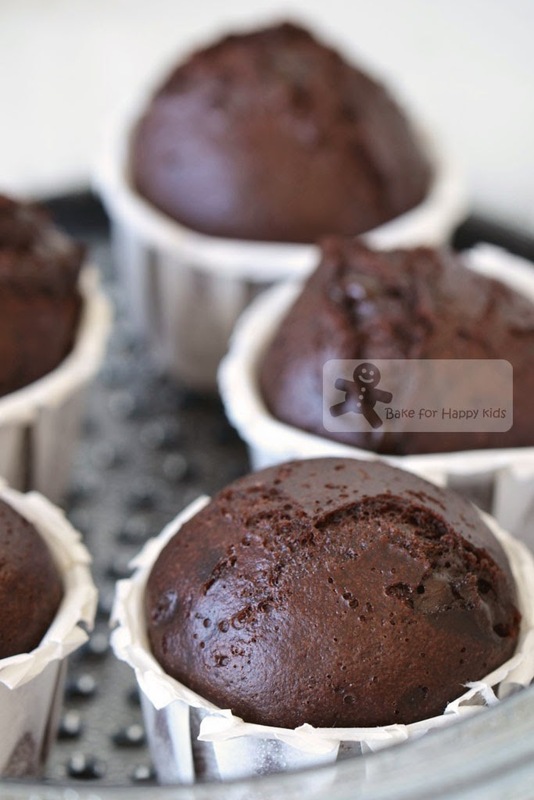 Pour the mixture into the heat-resistant cupcake cups or lined ramekins and place them in the steamer. Steam them for 8 mins if you are using the frying-pan steaming method or 10-15 mins if you are using an electric steamer as the cakes in the upper rack will require 15 mins to cook or until a skewer insert comes out clean. Turn off the heat. Remove the cakes from the steamer or ramekins and allow them cool in room temperature. Serve warm or at room temperature. OMG Dinner & dessert in cute li'l packages! Z, you do the cutest things. I'm bookmarking this recipe again as it's so simple and convenient.. Steam only.. Yep I like steaming cakes too but sometimes my texture will be like 'fatt koh'.. 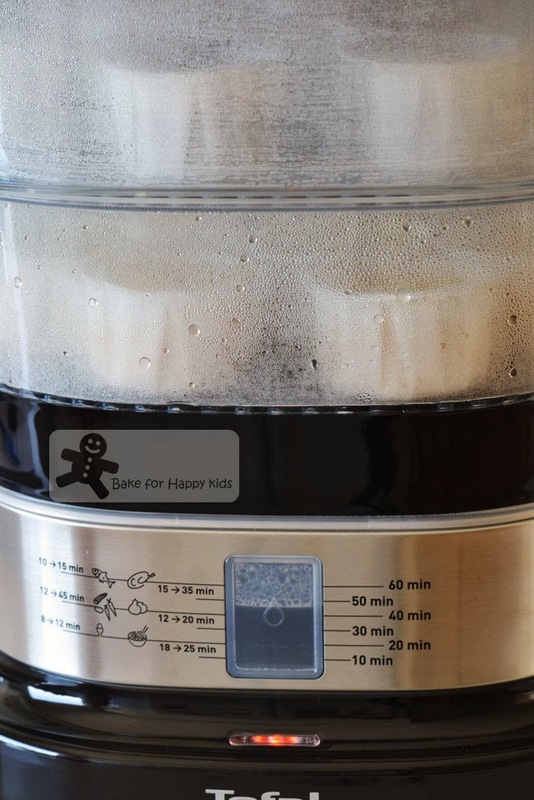 When I read your post, I almost laugh out loud, wahahaha, are you sure you want to change your name to steamforhappykids? Anyway, good morning to you and I think I should also start my butter theme next month by 1st June, is that ok? Yes that you can host LTU on 1st June. I will change the linky setting and the codes will be still the same. I will mention your arrangement to everyone in my next LTU post. Cheers! steamed cakes amaze me. I love them, but for some reason I'm always so surprised that a little hot water can make something so ...solid! 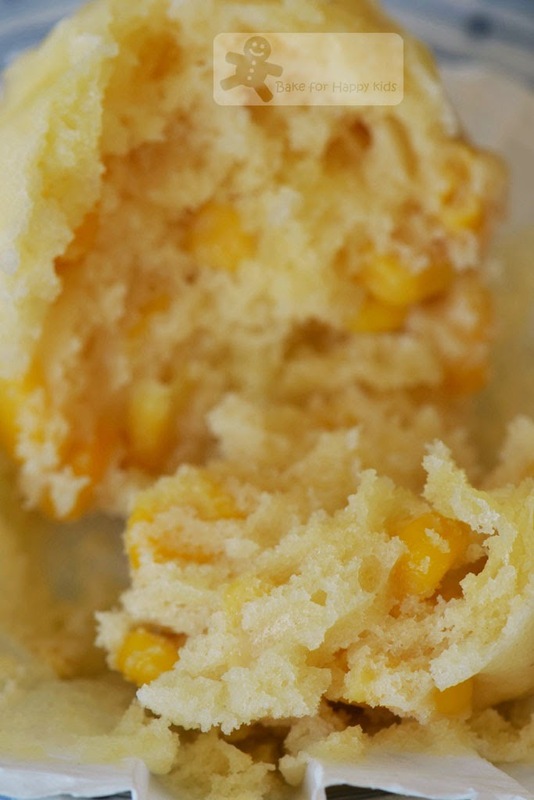 The choclate makes for a great mini -dessert and the corn and cheese remind of a corn soufflé. Delightful! Oh....I cant choose which one I like, the chocolate or the corn flavours? But I am sure both flavour taste absolutely equal good, right? Seeing your post reminds me that I haven't made these for so long! Nice and healthy mushi pans and you've made them in 2 versions too, thumbs up! We made these cakes for Easter...very nice! Zoe, you and Yen both have little helpers in the kitchen now! 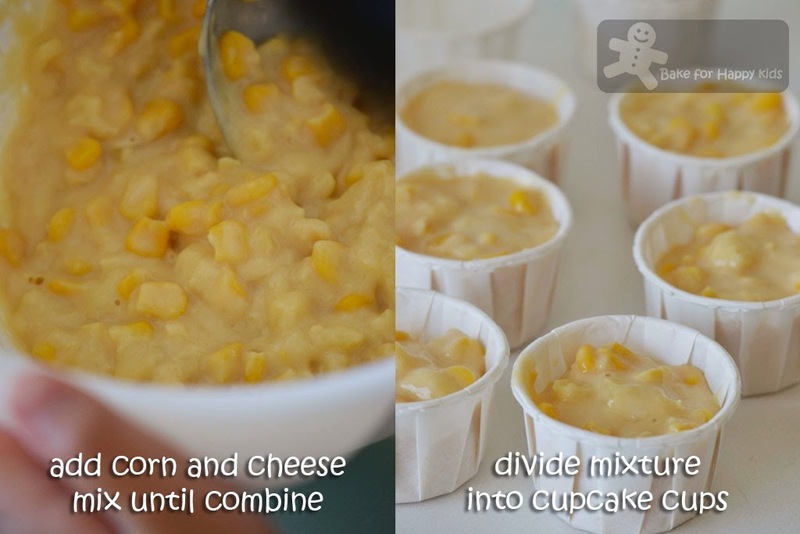 Corn & cheese is a new combo to me & both versions look soft & moist & pretty smooth tops! Good morning Zoe, this steam cake is on my baking list! which version I should choose? May be corn and chocolate one each...hehehe! I love mushi pan!! Keeper keeper! Both cakes look so delicious! So moist and soft inside.. yummy! This is the one and only recipe I like. Simply fantastic. I haven't tried steaming cakes before, looks like it's time to try too! So cute! 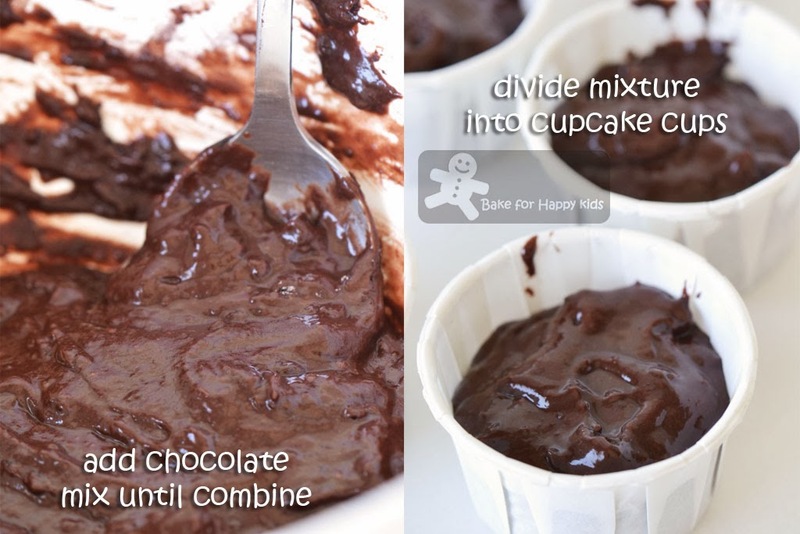 I love the idea of baking/steaming in a little cups. Your steamer looks very cool. I love Nami and her recipes too! I remember reading her green tea steamed cake. Your sweet corn ones sound very good. I guess it would kind of taste like American corn bread. I definitely want to make some now. Both the flavors look good, a healthy recipe made in a healthy way, nice! Zoe, I used to dislike steamed cake cos thot will taste like kuih or Huat kuih which not my favourite. after tried one of the steamed chocolate cake, totally change my impression and like, I started to like it heeheehee... yours look equally look, bookmarked! I would love to try this... Steam cakes are healthy too. WIsh you have a nice day Zoe. I have bookmarked to make these steamed cakes. Yours look so lovely. Must try soon. Hi Zoe, Lovely steam cakes! My electric steamer is hibernating in the box for ever so long...oops!! I really need to take it out and start using it, have not used it before! double ooooops....!!! I had fun with CLAS All-Stars Anniversary Party. With the wonderful support of our blogger friends, we had a delicious wonderful party indeed! Now gearing up and ready for CLAS June! I'm bookmarking this recipe. I think my family will be very happy with it,especially the double chocolate. 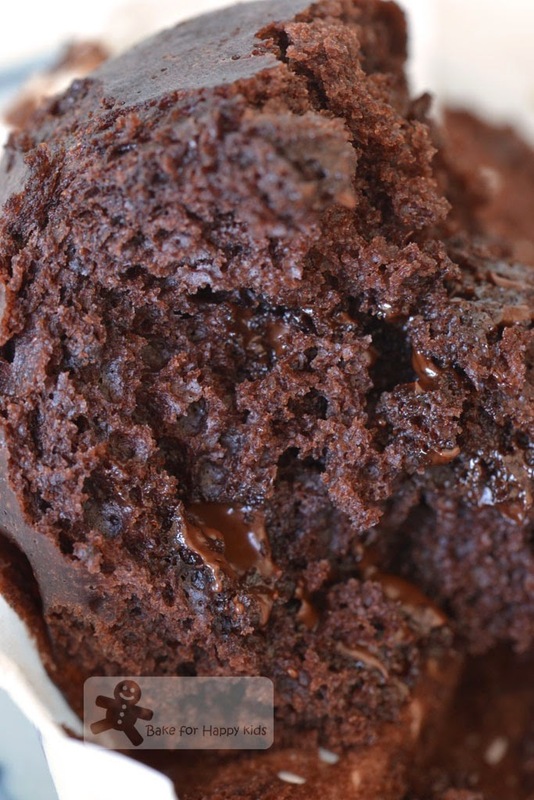 Thanks for sharing this simple yet scrumptious "steam" cupcake. I'm seeing a lot of steamed cakes these days & yours are truly some delicious ones. I wanna a bite now! Zoe, I adore your mini little steamed cakes; all are my favorites...but the chocolate flavored one is my top choice! You are so talented with all your cakes, and I love your photo instructions which help a lot to understand the method! 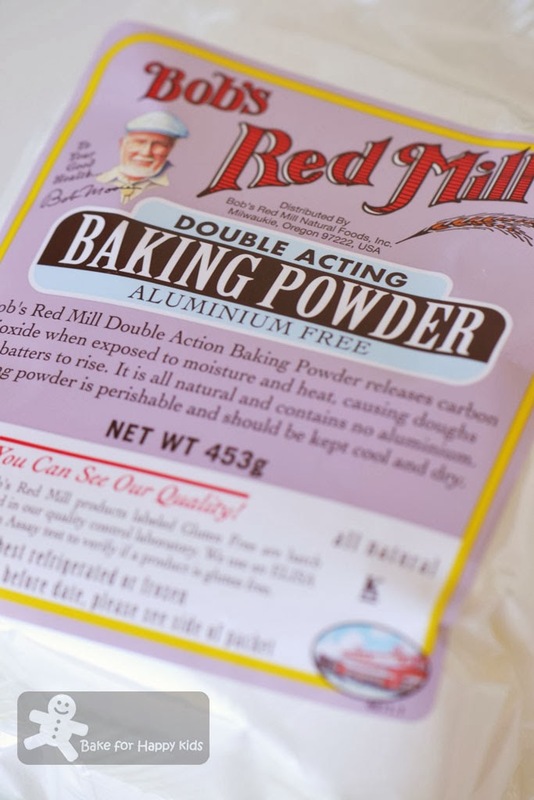 May I know where to buy this red mill baking powder ? I bought mine at Coles. These are also available in some health shops. Alternatively, you can buy these from online shops too. Cheers! Yes I made these before and they were great! Have used sunflower and olive oil it turns out rather overwhelming. Will try rice bran oil instead. You can try corn or canola oil. They should work well too but can be slightly lighter in texture and taste. can i change double acting baking powder to two teaspoon of baking powder to make it more fluffy? 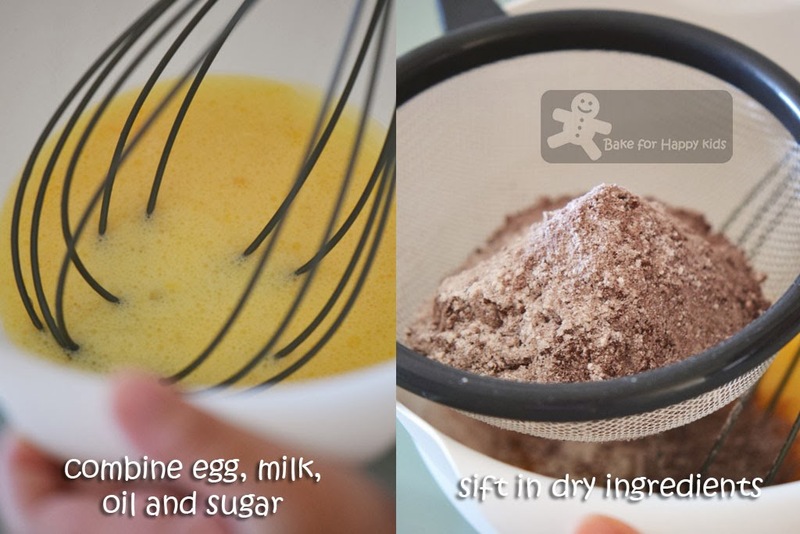 The original recipe uses 1 tsp regular baking powder and you can replace the double acting baking powder with the same amount of baking powder. The amount of reaction is the same but you can't over mix the mixture and also too slow to steam these cakes. The double acting baking powder will react again at high temperature resulting fluffier texture after steaming. i dont have steamer :( would fry pan give the same soft taste? According to Wikipedia, rice bran oil is the oil extracted from the hard outer brown layer of rice after chaff. It has a high smoke point of 232 °C and very neutral in flavor. Thus it it suitable for high-temperature cooking methods such as stir frying and deep frying. I really like using rice bran oil to cook my food as it is trans fat free. Did you measure your ingredients correctly? Maybe the cup that you used for steaming is slightly larger than mine and that's why you got lesser cakes. Over mixing the batter can cause the cake to be dense and hard and if you are making these cakes, please try not to over mix. Thanks will try again, but at most only get 3 cakes.i fill 80% full. how should i handle when i whisk the egg mixture.have to whisk till what condition? You can use any vegetable oil like rice bran oil, canola oil or corn oil. Yeah. Mix and just combined. Don't mix mix mix mix... LOL! Cheers! thanks zoe finally my cake is soft and edible! i combine properly i believe... but i just thinking got a smell dunno is it my cooking oil.gonna buy corn oil to try. would abit vanilla essense be good? The steamed cakes shouldn't have any odd smell at all. You can add vanilla extract if you wish. Happy steaming!